Cricket Wireless - Cheapest Cell Phone Provider? If you are looking for a cheap cell phone service and reliable cell provider, Cricket Wireless might have just what you are looking for. Although there are limited cell phones with this provider, they do offer a consistent product in regards to talk and messaging. The biggest downfall of Cricket is that they have many roaming areas. But if you plan on using your cell within these areas, you will save a good deal of money. Cricket Wireless offers a wide variety of cheap unlimited plans, the most basic of which is unlimited talk. This costs only $30.00 for one line, but does not include features like voicemail or caller ID. These features are standard on most other plans but are considered extras by Cricket. For a similar plan with unlimited texting and voicemail, it costs $40.00 per month. For a full service plan that offers everything unlimited plus 100 free roaming minutes, It will cost $60.00 per month. You can purchase family plans for three, four, or five lines as well. With unlimited talking, these plans cost $99.00, $132.00, and $165.00, respectively. These plans include texting, voice mail, and call ID. If you wish to add web access it is available for $5.00 per line. Cricket Wireless is famous for its pay as you go plans. Called PAYGo, these plans are basically prepaid options that allow you to only pay for the services that you use. The most basic of these plans costs $1.00 per day that service is used. The More plan costs $2.00 per day of services used and includes nationwide long distance. The All plan is more comprehensive and offers messaging and web access in addition to the previously mentioned features. Simply put, Cricket’s phone do not compare to the other major service providers. The main reason for this is that they are widely a prepaid cell provider and do not have the options that other providers give. Still, you can get a fully functional and customizable product from Cricket. Unfortunately, this plan does not subsidize the cost of their phones, so you will be spending $49.99 to $129.99 upfront just for the phone itself. They do have phones with up to 2.0 megapixel cameras, Bluetooth capability and music options, however. You can secure a Cricket plan without a credit check, as these plans are pay as you go plans. As far as other features go, there are a few apps available through Cricket including music, video, and GPS. 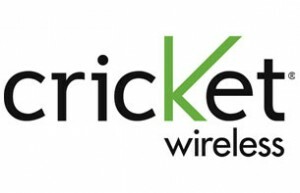 You can download plenty of Cricket Wireless Ringtones and Ringbacks. Cricket charges $15.00 per activation of a new line, well below the industry standard. However, they do have many roaming areas which lead to an increase in fees. Some plans defray this cost, so be sure you know what your service area entails and what kind of roaming fees you will be up against. Roaming fees are generally about $0.25 per minute.